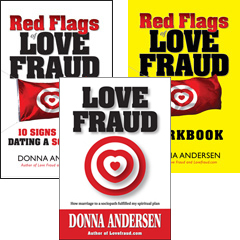 Lovefraud webinars on recovering from a relationship with a sociopath and dating again – coming May 9 and 16! 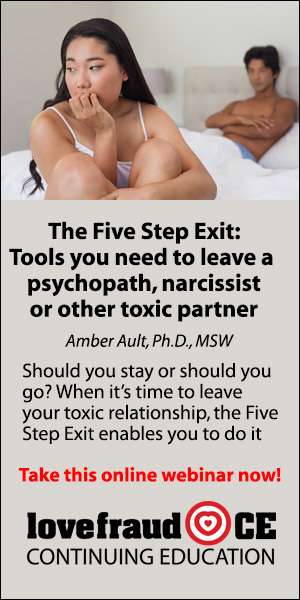 I talk to a lot of heartbroken people who have learned that their romantic partner, their “soul mate,” was a sociopath. Men and women who, perhaps like you, discovered that everything their romantic partner said to them was a lie. 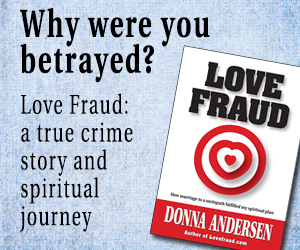 People who are grieving not only profound betrayal, but also the loss of their hopes and dreams for the future. If this is you, I understand how devastated you feel. I’ve been there. 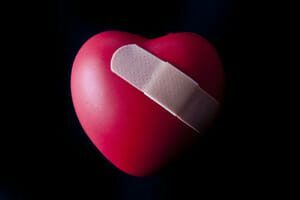 But I also know that you can recover, you can move forward, and you can find love — a real love. 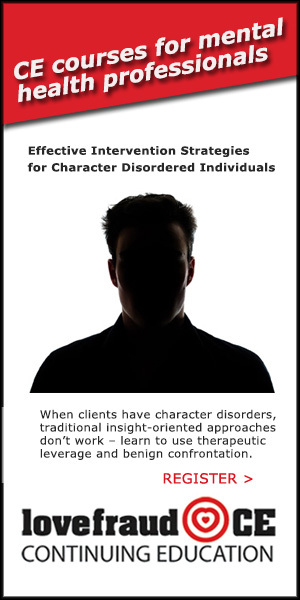 Personality disordered individuals lie, blame and exaggerate in life — and do the same in court. By anticipating what your opponent will do, you will not be blindsided; you’ll be prepared. 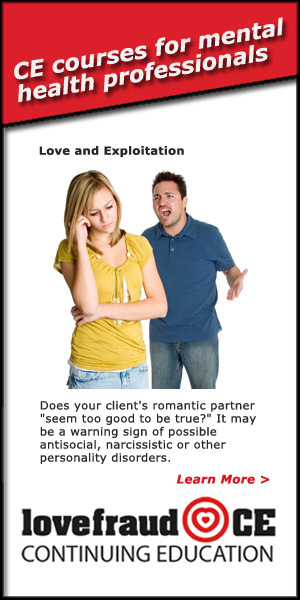 Here’s how to overcome their tactics and prove your case. In your dealings with a personality-disordered individual, you’ve learned that this person lies, blames and exaggerates. In court, despite swearing an oath to tell the truth, he or she will continue to lie, blame and exaggerate. How do you protect yourself? How do you make your case? We try to ignore the agony of betrayal, hoping it will go away. Paradoxically, it’s not in spite of our difficulties that we find freedom, but because of them. 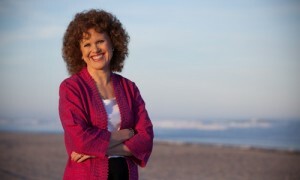 Take this course and learn how to gently, courageously, overcome the pain. 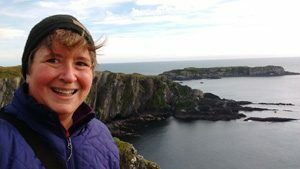 Our ancestors in Northern latitudes exercised deep wisdom when they burrowed in during the dark of winter, reflecting on the turning of the wheel of the year through its previous cycle of renewal, harvest, and loss, gathering with loved ones to share warmth in myriad ways, and beginning to dream of spring. 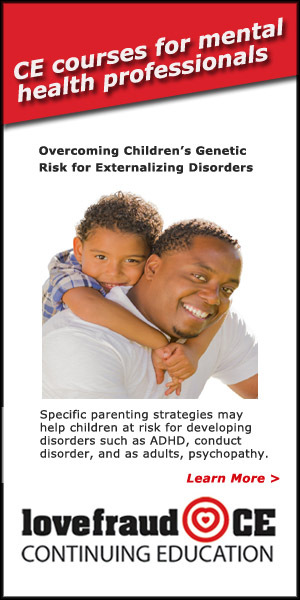 Therapists: Do you need continuing education credits by the end of the year? 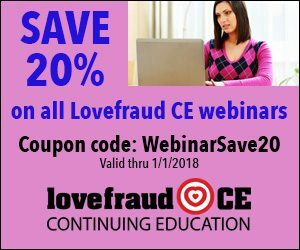 All Lovefraud webinars are 20% off until Jan. 1, 2018, and continuing education credits are available for psychologists and social workers. 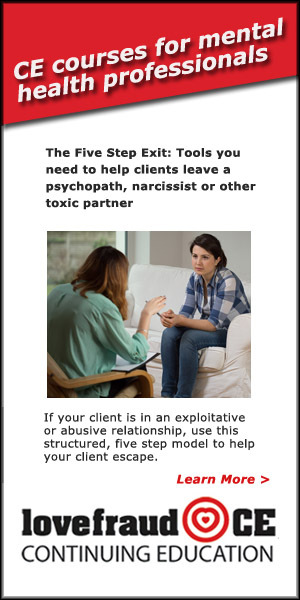 Love and Exploitation, Parts 1 and 2, is an excellent overview of how to recognize and work with clients who may have disordered partners. 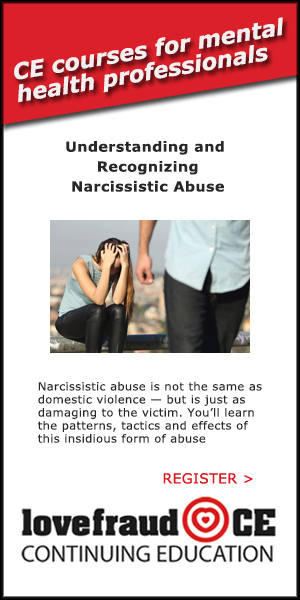 It is presented by Mary Ann Glynn, LCSW, CHT, who has extensive experience in treating these clients — people who are experiencing natural reactions to a destructive relationship. 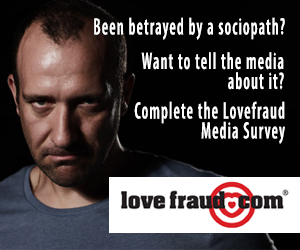 Are you facing an upcoming court battle with a sociopath? You’ll need to get mentally and emotionally ready for it — and this two-part course can help. 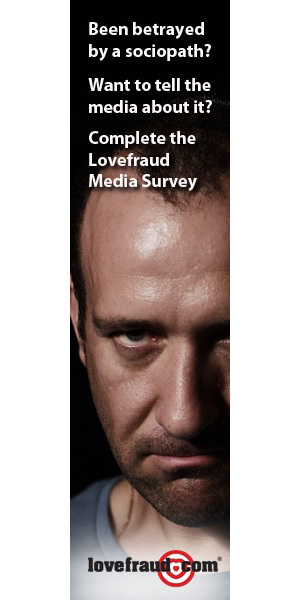 Through the end of the year, save 20% on all Lovefraud CE webinars — just use the coupon code WebinarSave20 at checkout. 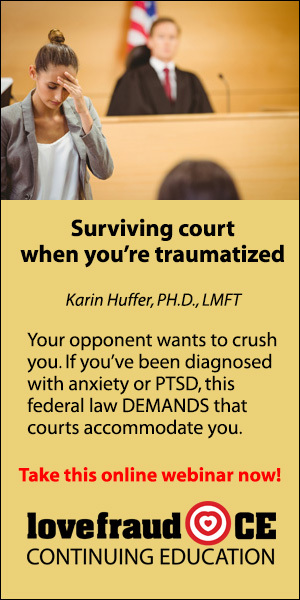 You’ve been traumatized, and now you must face the person who traumatized you in court. Whether the case is divorce, child custody or some other litigation, you know that your opponent’s objective isn’t just to win the case. 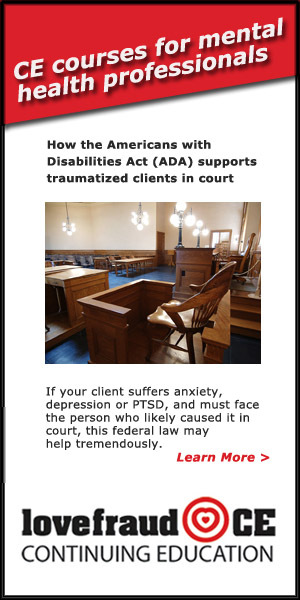 Your opponent will attempt to use legal procedures and the courts to crush you.